Come for the lion dance and live music, stay for the great food and good people. 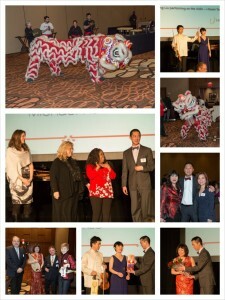 Our annual Lunar New Year Gala will take place Friday, Feb. 6, from 5:30 to 8 pm at the Horseshoe Casino Cincinnati. The event is our opportunity to celebrate the most important holiday in Asian culture together. We want to bring the business community of Cincinnati (and beyond) together to mix, mingle and enjoy a fine evening of Chinese cultural celebration. Our program includes a lion dance to start the proceedings, followed by plenty of time for networking and enjoying Asian-inspired cuisine by the Horseshoe’s highly trained chefs. We are lining up live performances by students from the UC’s College Conservatory of Music, as well as live solo performances by world class Chinese performers. The City of Cincinnati will present a proclamation in honor of harboring better China-Cincinnati relations. It is going to be a big event. We want to garner improved relations between China and Cincinnati and we want to invite you to help us do it. Guests also can purchase a full table of 10 seats at $1,500. Half page advertisements can be purchased separately at $250. At-The-Door (check only), Non-members (general public) can purchase tickets individually at $200. 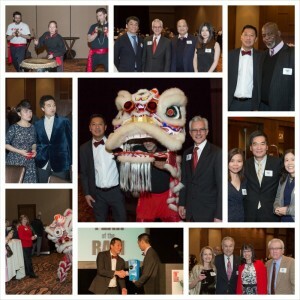 The Chinese Chamber holds this event each year to celebrate the community and raise funds for its operations throughout the rest of the year. Sponsorship is a great way to spread good will to a community that is growing quite quickly, especially with the massive influx of Chinese students attending local universities. We look to serve this new community and that of the export realm in the region too. We do this by collaborating with other movements to encourage immigration and diversity awareness. For example, our representatives play key roles in Mayor John Cranley’s Task Force on Immigration, Diverse by Design, UC’s China Initiative, and more.